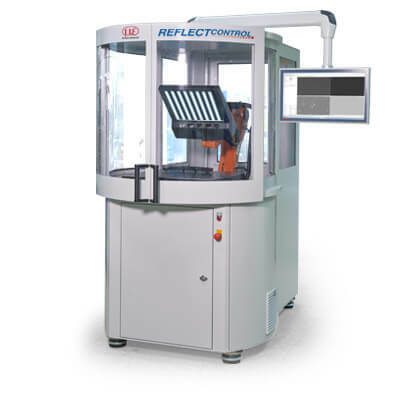 reflectCONTROL Compact has been specifically developed for the inspection of shiny surfaces. The system projects a striped pattern onto the measurement object. Defects on the surface cause deviations from the striped pattern which are recorded by cameras and evaluated by software. 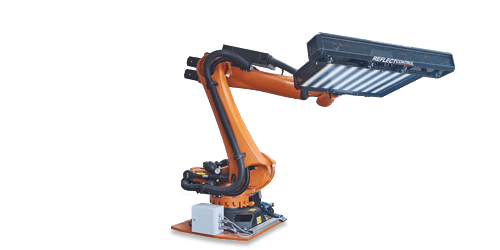 The fully integrated system is available in two versions that each provides different measuring fields. The 2D version is used for pure defect recognition on reflecting surfaces. In addition, the 3D version allows for the measurement of reflecting surfaces at submicrometer accuracies. This device is also used in individual operations (e.g. laboratories) as well as directly in production lines.